For some lighter music news, Ohio-based blackened metal quintet Skeletonwitch has announced a hometown release party for their highly anticipated new album, Serpents Unleashed, which will take place on the eve of the kickoff to their extensive North American fall tour with The Black Dahlia Murder. Tickets for the event, which will take place at The Union (18 W. Union St., Athens) on Oct. 23, are just $10. The Black Dahlia tour will be quickly followed by another lap around America in early 2014, this time alongside Amon Amarth and Enslaved. 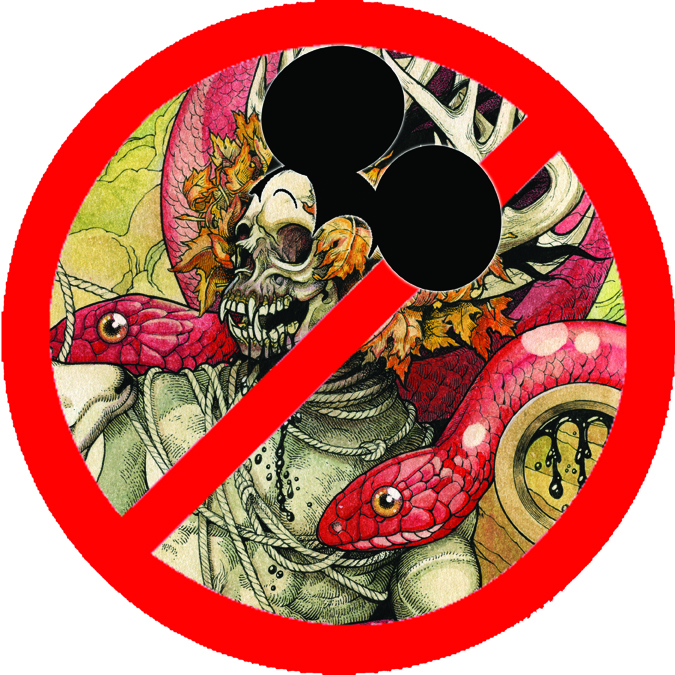 Unfortunately for fans in Orlando — where the tour stops on Jan. 27, Skeletonwitch will not be allowed to perform at the local House of Blues, as the group has joined the likes of Exodus, Machine Head and others who have been deemed “unfit to be associated with” Disney, on whose property the venue is located. Commemorating the group’s 10-year anniversary, Serpents Unleashed, recorded earlier this year with Kurt Ballou (Converge, Isis, High on Fire) at his God City Studios. If you missed it- We caught up Skeletonwitch for an exclusive interview while they were tracking with Ballou. and featuring artwork by John Baizley (Baroness, Kylesa, Kvelertak), will be released in North America on Oct. 29, in Australia and G/A/S on Oct. 25 and in the UK/EU on Oct. 28. Pre-order packages are up, while digital pre-orders, which offer an instant download of new song “I Am Of Death (Hell Has Arrived)” are available now on both iTunes and Bandcamp. See for yourself whether SKELETONWITCH are “unfit to be associated with” at one of their below dates.